Visit Central America- a narrow strip of land joining the North American and South American continents. 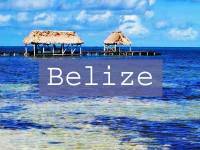 At its northern end, Honduras has many Mayan ruins and Belize offers some of the best snorkeling and scuba diving in the world. 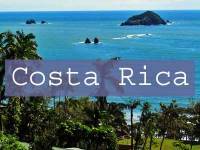 Costa Rica is a popular destination for group tours visiting both coasts. Costa Rica is also a popular retirement destination due to its low real estate costs and low cost of living. 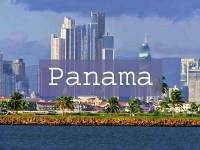 At the southern most end of Central America, the land direction shifts east / west through Panama and then joins on to South America. That means the Panama Canal actually runs north / south between the Pacific and the Atlantic. Use standard two and three prong North American plug Type A/B when traveling through Central America.